New and Amazing – AC Knowledge Component! Build your community knowledge base with our new AC Knowledge component! An effective knowledge base can help your support team a lot. It provides useful info for clients, partners, visitors and service agents. 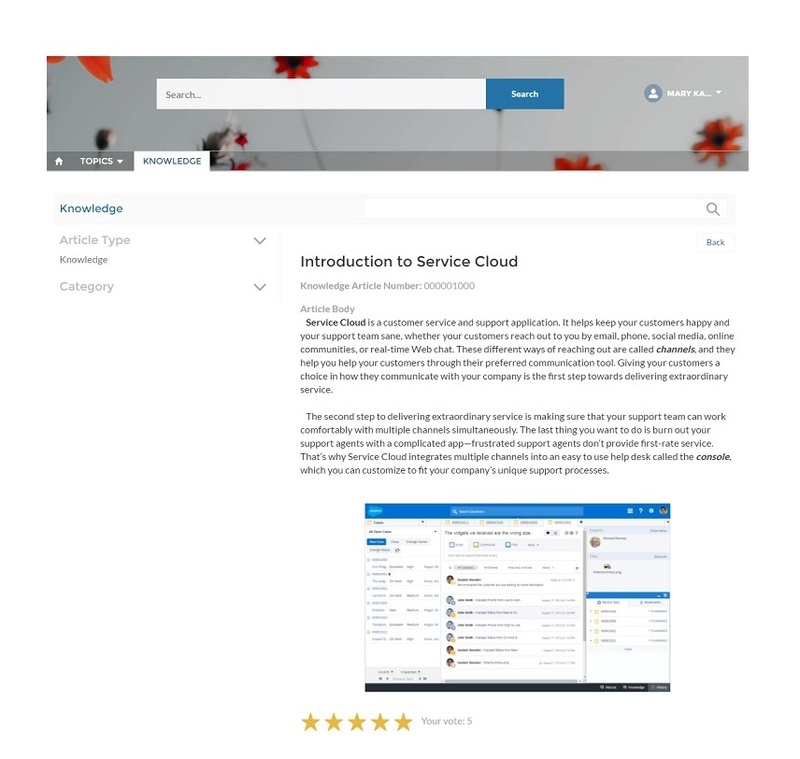 The AC Knowledge component for Community Cloud is an easy way to manage your company information and share it securely. Note: Not compatible with Lightning Knowledge. Yet. But it is on our roadmap and we promise: it will be compatible with Lightning Knowledge.